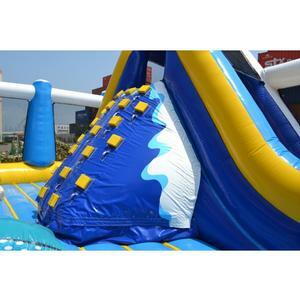 Deflated Dimensions: 70"(L) x 47"(W) x 42"
Pacific Bounce House Slide Combo is blue with yellow highlights. 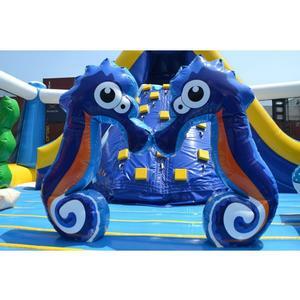 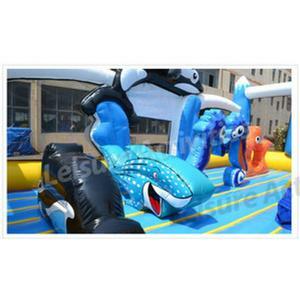 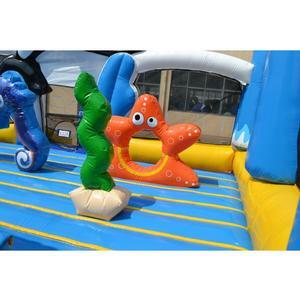 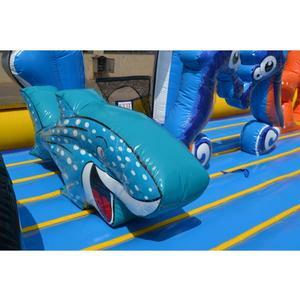 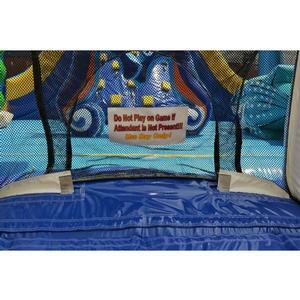 To keep kids safely having fun for hours, it is fenced in with a soft, inflatable railing. 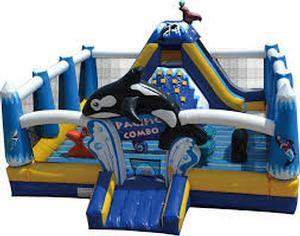 Great for any occasion, this versatile bounce house is the driest way to experience all the fun of the Pacific Ocean.